The Secret Jardin DARKSTREET growbox is carefully lined with a new more robust, reflective Mylar fabric (190D). All watertrays are now waterproof and reflective. We also increased the thickness of tubes from 0.5 to 0.6mm. This guarantees stability. 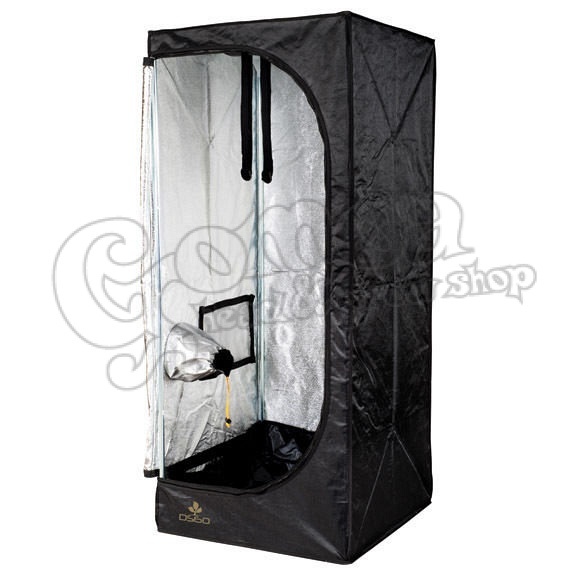 All Secret Jardin DARKSTREET growrooms are re-equipped for extraction and ventilation. The tents also come with equipment bars and other accessories to support lamps, and carbon filters.